Ease into your day with the Melodic Tonic ’18 April 25th edition. Start out with warm indie Americana, neo-soul, and smooth R&B, then shift into high gear with indie rock and blues. These six artists from the USA and UK will hit your sweet spot with their original tunes. Let’s kick things off with an amazing duo now based in Nashville. 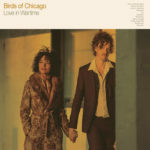 Birds of Chicago can dazzle audiences with minimal instrumentation – and that’s exactly what they do on their new “SuperLover” single. The married duo of Allison Russell and JT Nero can wow you with just their harmonies, lush and carefree as they are, but their delicate plucking of guitar and banjo casts its own sort of spell. Perhaps the secret of their intimate sound lies in their personal chemistry that ignites each note and gives the song its modestly smoldering appeal. Who better to sing about love than a couple whose love and passion – for both music, for life, and for each other – is so evident? When you hear them sing, “Who could count the flowers in your heart?”, you’ll feel an embrace that rivals the warmth of a sunny spring day. The band’s newest LP, Love in Wartime, arrives May 4 via Signature Sounds. You can pre-order your digital or physical copy at Bandcamp. Birds of Chicago are currently on tour in Europe through May 20; a week later they return to North America to tour through late August. If this is your first time hearing her, know this: Bonet has pure vocals that will mesmerize you. Her sound defies genre categorization due to its fluid glide into the realms of R&B, neo-soul, and smooth jazz from the ’70s to the present. Bonet samples bits of those genres with the effortless grace of a butterfly pausing to kiss varieties of flowers. The result is an audio nectar so smooth you are left speechless. “Delphine” caresses your senses with every silky-smooth note. So get comfortable, relax, and let this future music legend entrance you with her elegant, sophisticated artistry. 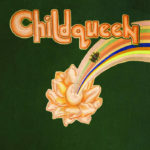 Childqueen arrives June 8 via Fat Possum Records with pre-orders available here. You can find her previous releases on Bandcamp. 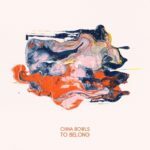 Another emerging talent with arresting vocals is China Bowls. The young British singer may not be well known outside the UK yet, but it’s only a matter of time before the rest of the world pays attention. This is an artist who commands attention because her talent is simply astounding. With her fusion of multiple genres and her powerhouse vocals, her new single “To Belong” signals the arrival of an artist with a bright future ahead. Sure, she has already played some established UK festivals (ahem, Glastonbury), but success in Europe doesn’t always translate to success abroad. This tune should open the hearts of fans in North America and beyond thanks to its broad appeal. “To Belong” at times channels the legendary Amy Winehouse, though the overall sound is more jazzy than bluesy. Other times you hear echoes of modern R&B marvels like Janelle Monae and Lianne La Havas. Those are only faint echoes, as what you hear on this tune is originality. Hers is a voice that will elevate your days and electrify your nights. It will, as she sings, “sedate you,” in the best possible way. Get to know China Bowls now, because her days of being an “emerging talent” are numbered. Get this single on iTunes via Saffron Records, the UK indie label dedicated to promoting young female artists. We have been fans of Sonia Kreitzer – a.k.a. Doe Paoro – ever since her 2016 debut single “The Wind” wowed us with its ethereal beauty. Even through that song’s minimalist elements, a stunning voice left an indelible imprint on listeners. Fast-forward to the present day when that voice is equally stunning even when soaring over uptempo instrumentation. In fact, “Walk Through the Fire” blazes with an intensity usually heard by the likes of Florence + The Machine or Dusty Springfield. The tune’s bouncy intro signals a shift in direction from Doe Paoro’s chiller output. This anthem of self-empowerment ripples with a soulful melody, bright backing harmonies, and an infectious chorus you’ll be singing for the next week. 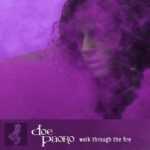 Instead of comforting a friend with gentle encouragement, this song pulls no punches in reminding you that sometimes “You’ve got to walk through the fire alone.” This tough-love approach is all the more effective because you feel like Doe Paoro is cheering you on from afar. Here she plays the role of long-distance friend whose sassy melody kindles your strength when you need it most. Walk Through the Fire is out now on iTunes via Anti. Her upcoming U.S. tour kicks off May 2 in North Carolina with a full list of dates available here. Arthur Buck began last fall when the two jammed together at Buck’s house in Todos Santos on Mexico’s Baja Peninsula. Their time spent enjoying warm Pacific coast breezes and tequila must have been the magic creative combination, because they wrote the album’s first eight songs in a matter of days. The upbeat, jangly music on the lead track matches the equally upbeat lyrics (“…there’s nothing to fear / just tune into the presence that’s clear / what’s real is always nearer“) and takes you back to the late ’90s when Arthur toured with R.E.M. This sun-kissed, laid-back indie rock showcases the best of both artists. 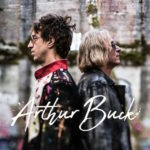 Fans of both Arthur and Buck will find plenty to love about this tune, while unfamiliar listeners now have a perfect starting point on these stellar musicians. The self-titled album arrives June 15 from New West Records. Los Angeles indie trio The Record Company burst onto the music scene with their 2016 debut, Give It Back to You, and blazed a trail they’ve been on ever since. While some bands fear the dreaded sophomore slump, The Record Company have no need to worry. The reason? 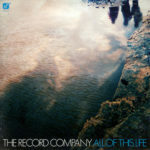 “Life to Fix” from their forthcoming follow-up LP, All Of This Life, is a jubilant anthem sure to make this band a household name. “Life to Fix” is, quite simply, a very relatable, life-affirming soundtrack. These guys have a knack for creating killer hooks and pairing them with uplifting messages. This tune, with its driving tempo and dirty blues backbone, is the Rocky-esque musical inspiration you need to keep fighting through down days. Crank this one to full volume and you’ll be ready to tackle anything the world throws at you. This single is out now on Amazon and iTunes via Concord Records, while the full album is due June 22. The band’s four-month North American tour begins tonight in South Carolina and includes many U.S. summer festivals. A full list of dates is available here. The Record Company are: Chris Vos (vocals, guitars, lap steel, pedal steel, harmonica), Alex Stiff (bass, guitars, vocals), and Marc Cazorla (drums, piano, vocals).